We teach students the doctrines and principles of the gospel as found in the scriptures and the words of the prophets. These doctrines and principles are taught in a way that leads to understanding and edification. We help students fulfill their role in the learning process and prepare them to teach the gospel to others. To help achieve these aims, teachers and students in seminary and institute are specifically encouraged to implement the Fundamentals of Gospel Teaching and Learning. Teach and learn by the Spirit. Cultivate a learning environment of love, respect, and purpose. Study the scriptures daily, and read the text for the course. Understand the context and content of the scriptures and the words of the prophets. Identify, understand, feel the truth and importance of, and apply gospel doctrines and principles. Explain, share, and testify of gospel doctrines and principles. Master key scripture passages and the Basic Doctrines. These principles, practices, and outcomes are interconnected. When implemented wisely and in harmony with each other, these fundamentals contribute to the students’ ability to understand the scriptures and the doctrines and principles they contain. They also encourage students to take an active role in their learning of the gospel and increase students’ ability to live the gospel and teach it to others. Gospel teaching and learning takes place through the power of the Holy Ghost. Teaching and learning by the Spirit occurs when the Holy Ghost is performing His role or functions with the teacher, with the student, or with both. Only through teaching and learning by the Spirit will students come to understand and rely on the teachings and Atonement of Jesus Christ in such a way that they may qualify for eternal life. President Henry B. Eyring stressed the crucial role the Holy Ghost has in spiritual learning when he taught: “Our students cannot know of God, and so love as they must love, unless they are taught by the Holy Spirit. Only by the Spirit can they know that God loved us enough to send His Son to be the propitiation for our sins and that Jesus is the Son of God and that Christ paid the price of their sins. Only by the Spirit can they know that Heavenly Father and His resurrected and glorified Son appeared to Joseph Smith. Only by the Spirit can they know that the Book of Mormon is the true word of God. And only by inspiration can they feel the love of the Father and the Son for them in giving us the ordinances necessary to receive eternal life. Only by obtaining those witnesses, placed deep into their hearts by the Holy Ghost, will they be rooted on a sure foundation to stand steady through the temptations and trials of their lives” (“To Know and to Love God” [an evening with President Henry B. Eyring, Feb. 26, 2010], 2). He bears witness of God the Father and His Son, Jesus Christ (see 1 Corinthians 12:3; Ether 12:41). He edifies (lifts or builds spiritually) both the teacher and the student (see 1 Corinthians 14:12; D&C 50:22–23; 84:106). He bestows the “fruit of the Spirit,” which includes such things as joy, love, peace, patience, and gentleness (see Galatians 5:22–23; Romans 15:13; D&C 6:23; 11:12–13). He empowers a person to speak with authority and boldness (see 1 Nephi 10:22; Alma 18:35; Moroni 8:16). He testifies to the truthfulness of gospel doctrines and principles (see John 15:26; D&C 21:9; 100:8). He imparts truth, knowledge, insights, understanding, and enlightenment (see John 16:13; 1 Corinthians 2:9–11, 14; D&C 6:14; 11:13–14; 76:5–10, 116). He helps teachers and students remember ideas, concepts, or principles (see John 14:26). He inspires a person in what to say or what not to say (see Luke 12:11–12; 2 Nephi 32:7; D&C 84:85; 100:5–6). He carries truth to the hearts of people (see 2 Nephi 33:1). He softens the hearts of people (see 1 Nephi 2:16; Alma 24:8). He gives comfort (see John 14:26; D&C 88:3). He sanctifies and changes hearts (see Mosiah 5:2; 3 Nephi 27:20; Moroni 6:4). Once they understand the crucial role the Holy Ghost performs in spiritual learning, teachers will do all they can to invite the Spirit to fulfill these functions. To do this, teachers will strive for personal worthiness. They will offer the “prayer of faith” (D&C 42:14) and will seek to be thoroughly prepared for each lesson. They will seek to focus on their students’ learning experience and to be serene in their hearts rather than feeling upset and anxious about other things. They will exhibit a spirit of humble inquiry. They will also encourage their students to invite the Holy Ghost into their learning experience. Reading and teaching from the scriptures and the words of the prophets. Focusing examples and discussions on the Savior and bearing testimony of Him. Stating gospel doctrines and principles simply and clearly. Taking time for thoughtful pondering during moments of inspired silence. Sharing appropriate personal experiences and testifying of doctrines and principles. Expressing love and gratitude for one another and for the Lord. Do the students feel an increase of love for the Savior, the gospel, and the scriptures? Do students clearly understand the principles being taught? Are the students edified and do they feel inspired to act on the principles that they have learned? Is the class increasing in unity? Are testimonies expressed and strengthened? Are students interested and engaged in the learning process? Is there a feeling of “love, joy, peace, longsuffering, gentleness, goodness, faith” (Galatians 5:22) in the classroom? It is important to remember that no teacher, no matter how gifted or faithful, can fulfill the functions of the Spirit. Occasionally teachers may try to manufacture a spiritual experience. Elder Boyd K. Packer taught: “You cannot force spiritual things. … You can no more force the Spirit to respond than you can force a bean to sprout, or an egg to hatch before its time. You can create a climate to foster growth, nourish, and protect; but you cannot force or compel: you must await the growth” (“Candle of the Lord,” Ensign, Jan. 1983, 53). Teachers seeking to teach by the Spirit should not rely primarily on their intellect, teaching expertise, or personality but on the influence of the Holy Ghost (see 2 Nephi 4:34). They should also avoid manipulating emotions or consciously trying to elicit tears as evidence that the Spirit is present. President Howard W. Hunter cautioned: “I think if we are not careful as … teachers working in the classroom every day, we may begin to try to counterfeit the true influence of the Spirit of the Lord by unworthy and manipulative means. I get concerned when it appears that strong emotion or free-flowing tears are equated with the presence of the Spirit. 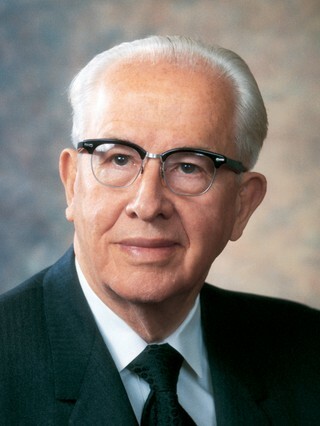 Certainly the Spirit of the Lord can bring strong emotional feelings, including tears, but that outward manifestation ought not to be confused with the presence of the Spirit itself” (“Eternal Investments” [an evening with President Howard W. Hunter, Feb. 10, 1989], 4). Teachers should be cautious of using phrases such as “The Spirit told me to …” or “The Spirit said I should. …” Intentionally or unintentionally, these phrases can be perceived as self-promoting and can imply an exaggerated level of spirituality and could result in a form of spiritual coercion. It is generally sufficient for teachers to act on promptings from the Spirit without announcing that they are doing so. Elder Henry B. Eyring offered this counsel: “Giving students experiences with the Spirit is far more important than talking about it. And just know that each person experiences the Spirit a little differently. … I think it is so individual that I would be a little careful in trying to say too much specifically. I think experience with it … might be better than if you keep saying, ‘Do you feel the Spirit?’ I think that can be counterproductive” (“Elder Richard G. Scott and Elder Henry B. Eyring Discussion” [CES satellite training broadcast, Aug. 2003], 8). Teachers should keep in mind that teaching by the Spirit does not remove their responsibility for diligent, thoughtful lesson preparation, including using the curriculum that has been provided. On the other hand, teaching by the Spirit requires more than merely following every curriculum suggestion without prayer, thought, or possible adaptation. In addition, teachers should not be so focused on rigidly following their lesson outline that they are not open to receive and follow impressions from the Spirit during class. When teachers and students love and respect the Lord, one another, and the word of God, learning is enhanced. A shared sense of purpose focuses efforts and expectations and gives direction to the classroom experience. Establishing and cultivating such an environment of love, respect, and purpose is the responsibility of both teachers and the students and invites the edifying influence of the Holy Ghost. Love softens hearts and invites the influence of the Holy Ghost. When teachers love as the Savior loves, they see others as He sees them. Christlike love inspires a teacher to never give up in helping each young man and woman to become truly converted. Elder Dallin H. Oaks taught: “When we are called to teach, we should accept our calling and teach because of our love for God the Eternal Father and His Son, Jesus Christ. In addition, a gospel teacher should always teach with love for the students. … Love of God and love of His children is the highest reason for service. Those who teach out of love will be magnified as instruments in the hands of Him whom they serve” (“Gospel Teaching,” Ensign, Nov. 1999, 79). Teachers and students who love the Lord and who know of His love for them feel a genuine desire to be close to Him and to become more like Him. They respect and reverence His word and the words of His prophets in ways that motivate them to study the scriptures diligently, to apply what they learn, and to share what they are learning with others. When students know they are loved and respected by their teacher and other students, they are more likely to come to class ready to learn. The acceptance and love they feel from others can soften their hearts, reduce fear, and engender within them the desire and confidence necessary to share their experiences and feelings with their teacher and other class members. Teachers can nurture students’ feelings of love and respect for the Lord by helping them understand the Atonement, by teaching them of their divine nature and infinite worth to Heavenly Father and His Son, and by speaking and testifying of Them in an appropriate and reverent manner. Teachers should develop the love and respect they have for their students. Doing so will help them radiate the pure love of Christ for their students and help them teach with patience and compassion. Teachers can learn students’ names and seek to know of their interests, talents, challenges, and abilities. They can pray for their students, collectively and individually. Teachers can personally welcome each student to class and give every student an opportunity to participate. They should listen carefully as students ask questions or share their thoughts or feelings. In addition, teachers might attend performances, athletic contests, or other events where their students are participating. In their efforts to love their students, teachers should not try to take the place of parents or priesthood leaders or to become personal counselors to the students. Most teachers will have students in their classes who, to some degree, have limited abilities or physical or mental disabilities. They too are children of Heavenly Father and need to learn the gospel regardless of personal challenges or limitations experienced in mortality. The Prophet Joseph Smith taught, “All the minds and spirits that God ever sent into the world are susceptible of enlargement” (Teachings of Presidents of the Church: Joseph Smith , 210). Teachers need to be sensitive to all students and consider their individual needs and abilities as they prepare and present their lessons. One of the most helpful things teachers can do to develop genuine love for their students is to seek the gift of charity through sincere prayer. The prophet Mormon taught: “Wherefore, my beloved brethren, pray unto the Father with all the energy of heart, that ye may be filled with this love, which he hath bestowed upon all who are true followers of his Son, Jesus Christ” (Moroni 7:48). A sense of purpose shared by teacher and student can increase faith and give direction and meaning to the classroom experience. Students should understand that they are attending class to come to know Heavenly Father and His Son, Jesus Christ, and to progress toward eternal life through a study of the scriptures and the words of the prophets. They should believe that through approaching the Lord in an attitude of inquiry and prayer, they can be taught and edified by the Holy Ghost. As teachers and students approach the study of the scriptures with the expectation to learn through the Spirit and from one another, they cultivate an environment that invites revelation. Expect students to fulfill their role as learners. A sense of purpose exists in a class where teachers expect students to fulfill their role as learners and assist them in doing so and where students are trusted to contribute in significant ways. Teachers with a sense of purpose, who truly love their students, will care too much about their progress and success to be satisfied with only a little effort. Such teachers will encourage with love and will lift their students to reach their potential as learners and disciples of Jesus Christ. Be sincere, passionate, and energetic about the scriptures and the gospel. Students generally have a greater desire to learn with purpose when they sense their teacher’s enthusiasm for and faith in the material being discussed. Prepare edifying lessons. When teachers come to class with a well-prepared, edifying lesson and feel confident in the direction they have been guided to take, they convey a sense of purpose that students easily recognize. Prepare needed materials and equipment. Teachers should arrive at their classroom before the students to prepare any necessary materials and equipment. This provides opportunity for the teacher to greet each student as they arrive. Students should strive to be on time to class and have all appropriate learning materials—such as scriptures, marking pencil, and journal—at their desks when class begins. Avoid wasting time. As class begins on time and when students perceive that there is not time to waste, they will feel a sense of purpose. Establish class routines. Establishing routines for often-repeated class activities brings a sense of order and purpose. Class routines encourage participation from each student and help teachers and students to be more efficient with the use of precious class time. Routines can be established for activities such as retrieving and putting away scriptures and learning materials, organizing and providing uplifting devotionals, and distributing and collecting papers and materials. Making announcements, recording student attendance, checking on assignments, and conducting other business are best done before beginning the devotional and the lesson. In addition to love, respect, and purpose, an ideal gospel learning setting also consists of order, reverence, and a feeling of peace. Elder Boyd K. Packer taught that “inspiration comes more easily in peaceful settings,” and that “reverence invites revelation” (“Reverence Invites Revelation,” Ensign, Nov. 1991, 21–22). Following are some additional suggestions teachers can use to establish and maintain an atmosphere that is conducive to gospel learning. Establish the physical setting for learning. Seating. Except for very unusual circumstances, every student should have a comfortable place to sit, a place for their scriptures and study materials, and a place to write. The seating arrangement should allow students to easily see the teacher and any visual resources the teacher uses. Where possible, different seating arrangements can be used to support different kinds of learning activities. Having assigned seating can help teachers learn the names of students quickly, organize the class for small group work or scripture mastery exercises, and separate students who tend to talk with each other during class. Teachers should be sensitive to students who may have mobility or visual impairments by making accommodations that encourage their participation in class. Distractions. Teachers should try to eliminate any distractions that could interrupt the teaching and learning process. If teaching takes place in a home, there may be some particular challenges, but even in that setting a teacher can minimize interruptions with careful planning. Classroom appearance. Gospel-related pictures, illustrations, posters, and other displays can often enhance the learning setting. A classroom that is neat, clean, and orderly also encourages reverence and fosters an environment conducive to the influence of the Spirit. Teacher appearance. Students will more readily recognize the importance of the learning experience when the teacher’s dress and grooming is modest and appropriate and reflects the sacred nature of the gospel message. Invite the Spirit through effective devotionals. Class should begin with a brief devotional. A devotional can be an excellent way to unite students by turning their thoughts and their hearts to spiritual things. It can help teachers and students feel the Spirit and be ready to learn. A devotional generally consists of a hymn, a prayer, and a thought from the scriptures. It is most effective when students share feelings and insights they have had in their personal scripture study and when they bear testimony. Long or elaborate devotionals not only take time away from the lesson, but may actually cause the Spirit to withdraw. Devotionals that include the serving of refreshments will almost certainly promote a light and playful mood rather than a spiritual one. Teachers should take time to talk with students, especially class leaders, about the purpose of devotionals, what they can do to make them better, and how they can encourage everyone to participate. Discuss principles of spiritual learning. At the beginning of the year, teachers may involve students in discussing what conditions encourage spiritual learning (see 1 Corinthians 2:10–11; D&C 50:17–22; 88:121–26). These discussions could focus on behaviors that invite the Spirit of the Lord to be with them in gospel learning as well as on behaviors that cause the Spirit to withdraw. Teachers and students should encourage each other on an ongoing basis to apply the things they agreed would invite the Spirit. Such efforts can help both students and teachers understand and fulfill the role they play in inviting the Spirit into the learning process. Teachers should be aware that different learning activities encourage different moods and attitudes in the students. For example, after leading a boisterous instructional game at the beginning of his class, one teacher was frustrated when he could not achieve a more spiritual conclusion to the lesson. Another teacher found her discipline problems escalated when she gave out refreshments during class. Be attentive to student behavior, and respond appropriately. Teachers should be aware of what is occurring during the lesson and respond in an appropriate manner. If students seem bored or restless, it may be because they are not involved or they do not understand what is being taught or how the lesson applies to them. To help the students focus, the teacher may need to change something in the lesson presentation. If students are acting in improper ways and causing the Spirit to withdraw from class, the teacher needs to seek inspiration in dealing with the problem rather than ignoring it. Teachers should also watch for students who do not interact with other students or who seem to be lonely. These students may need some additional personal attention from the teacher or from other students in the class. In such cases, teachers may talk to parents and priesthood leaders to determine if there are underlying causes or conditions that they should be aware of. Correct disorderly or inappropriate behavior. There are some general principles to keep in mind that will help a teacher invite proper order and respect in the classroom. To have order does not always mean having complete silence; nor does it mean that a class cannot be enjoyable and fun. But a disorderly or irreverent student or group of students can have a negative impact on the learning process and hinder the influence of the Holy Ghost. When a student or a group of students is misbehaving, it can be frustrating for the teacher and other students. At such times, it is especially important for teachers to keep control of their emotions and to seek the influence of the Spirit. How teachers respond to any given incident may be more important than the incident itself and can either increase or decrease the respect and trust of the students. As teachers correct improper behavior, they need to be firm but friendly, fair, and caring and then quickly return to the lesson. To ridicule a student publicly may correct a student’s behavior for a time but will not edify either the teacher or the student. It may also result in other students fearing or distrusting the teacher. Teachers should remember the righteous influence of persuasion, long-suffering, gentleness, meekness, unfeigned love, and kindness (see D&C 121:41–42). Make eye contact. Often students talk to each other at inappropriate times because they think the teacher will not notice. The teacher could look at the students and briefly make eye contact so they know the teacher is aware of what is happening. Stop talking. If students are talking when they should be listening, the teacher could stop talking, even in midsentence if necessary. Raising the voice to talk over them will not generally solve the problem. Move closer. Another action teachers can take to correct behavior without having to directly confront a student is to move and stand beside the misbehaving student. The teacher can continue with the lesson, but the student will usually feel the teacher’s presence and stop what he or she is doing. Direct a question. Without calling attention to the inappropriate behavior, a teacher can ask the offending student a question related to the lesson. This is not done to embarrass the student, but to help bring him or her back into the discussion. Consult with the student privately. The Lord said that if someone offends another, the offended person should talk with the offender “between him or her and thee alone” (D&C 42:88). The teacher could counsel with the student about why he or she is misbehaving and let him or her know that the behavior must change or additional steps will be taken. Teachers should make sure they differentiate the students’ behavior from their individual worth. It is important for teachers to remember that “the worth of souls is great in the sight of God” (D&C 18:10). They should communicate to the student that while the poor behavior is unacceptable, he or she is valued. Teachers should remember to follow the Lord’s counsel and show “forth afterwards an increase of love toward him whom thou hast reproved” (D&C 121:43). Separate the students causing the disruption. Consult with parents or priesthood leaders. If unacceptable behavior persists, it is often helpful for the teacher to consult with the student’s parents. Frequently parents can provide additional insights and ideas that will help correct the concern. In some cases, the student’s bishop may be able to help. Dismiss the student from class. President David O. McKay gave the following counsel to teachers: “If [your effort] fails, then you can make an appeal to the parents, and you can say: ‘If his misconduct continues, we shall have to put him off the roll.’ That is the extreme action. Any teacher can dismiss a [student]; you should exhaust all your other sources before you come to that. But order we must have!—it is necessary for soul growth, and if one [student] refuses, or if two [students] refuse to produce that element, then they must leave. Better one [student] starve than an entire class be slowly poisoned” (“Guidance of a Human Soul—The Teacher’s Greatest Responsibility,” Instructor, Sept. 1965, 343). Before asking a student to leave class for any extended period of time, the teacher should counsel with the parents, seminary and institute supervisors, and appropriate priesthood leaders. In such circumstances it is important that the teacher help the students and the parents understand that the student is choosing to leave seminary by not choosing to behave in an acceptable manner. It is the disruption that is unacceptable, not the student. When he or she chooses otherwise, the student will be welcome to return to class. Daily personal scripture study provides a consistent opportunity for teachers and students to learn the gospel, develop testimony, and hear the voice of the Lord. The Lord states in the Doctrine and Covenants, “The holy scriptures are given of me for your instruction” (D&C 33:16). The prophet Nephi taught that those who “press forward, feasting upon the word of Christ, and endure to the end, … shall have eternal life” (2 Nephi 31:20) and that “the words of Christ will tell you all things what ye should do” (2 Nephi 32:3). Latter-day prophets have stressed the importance of studying the scriptures every day. 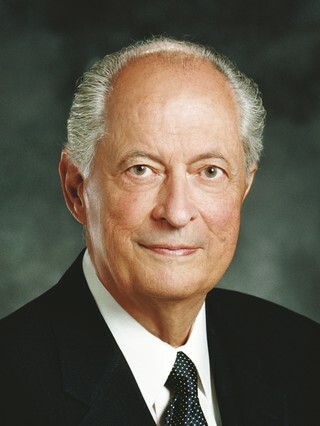 President Harold B. Lee cautioned, “If we’re not reading the scriptures daily, our testimonies are growing thinner, our spirituality isn’t increasing in depth” (Teachings of Presidents of the Church: Harold B. Lee , 66). Elder Howard W. Hunter also taught, “It is certain that one who studies the scriptures every day accomplishes far more than one who devotes considerable time one day and then lets days go by before continuing” (“Reading the Scriptures,” Ensign, Nov. 1979, 64). “First, walk with your students step-by-step through many passages of the sacred word of the Lord. Help them feel your enthusiasm, respect, and love for the scriptures. “Second, help them learn to read, ponder, and pray privately to discover the power and peace that flow from the scriptures” (“Four Fundamentals for Those Who Teach and Inspire Youth” [CES symposium on the Old Testament, Aug. 14, 1987], 5). There are few things teachers can do that will have a more powerful and long-lasting influence for good in the lives of their students than helping them learn to love the scriptures and to study them on a daily basis. This often begins as teachers set an example of daily scripture study in their own lives. Engaging in meaningful, personal scripture study every day qualifies teachers to offer personal testimony to their students of the value of the scriptures in their own lives. Such testimony can be an important catalyst in helping students commit to studying the scriptures regularly on their own. Teachers should consistently teach students the doctrines and principles behind daily personal scripture study. Teachers can also encourage each student to set aside time every day for personal scripture study; help students be accountable for their daily study by using an appropriate tracking system that measures their performance; and give students regular opportunities in class to share with each other some of the things they are learning and feeling in their personal scripture study. As teachers encourage daily scripture study, they should be careful to not embarrass or discourage any students who may struggle to study the scriptures on their own. Students with reading or other learning disabilities should be given the option to study the scriptures in a format that may be better suited for their needs, such as audio, American Sign Language, or Braille. Many students who have difficulty reading benefit from following along on the printed page while someone else is reading aloud. To help students be successful in their personal study of the scriptures, teachers can assist them in developing and utilizing a variety of scripture-study skills and methods. All of the following skills and methods, as well as others not addressed in this handbook, should be directed at helping students to learn by the Spirit, understand the scriptures, and discover and apply gospel doctrines and principles in their lives. Use scripture study aids. The Church has prepared an extensive set of scripture study aids and included them in the standard works for some languages. (The Guide to the Scriptures is a group of study aids that has been prepared for other languages.) These aids include such things as footnotes, chapter headings, topical indexes, the Bible Dictionary, and maps. They are some of the most valuable helps teachers and students can use as they study the scriptures. Teachers can help their students become familiar with these study aids and resources by using them appropriately during class. The Church has also made other helpful study resources available online. Mark and annotate. One of the most helpful ways for teachers and students to capture and retain the things they learn is by marking and annotating the scriptures. To mark means to designate, distinguish, set apart, or bring attention to. This can be done by underlining, shading, or outlining key words or passages in the scriptures. To annotate means to add explanatory notes or commentary. Examples of scriptural annotations could include writing personal impressions, prophetic commentary, cross-references, word definitions, or insights gained from the comments of class members in the margins next to specific scripture passages. Make important words, phrases, ideas, truths, people, and events easier to remember and find. Clarify and discover meaning in the scriptural text. Preserve personal insights gained and those received from others. Prepare to teach the gospel to others. Teachers can encourage students to mark their scriptures by saying something like, “As you search these verses, I invite you to mark a key principle that you discover,” or “Here is an important cross-reference. You may want to write this in the margin of your scriptures.” It is better to teach, illustrate, and practice the basic elements of scripture marking throughout the year than to teach a particular marking system. Ponder. Pondering means to meditate or think deeply about something, and often includes prayer. As students learn to ponder during their personal scripture study, the Spirit will often reveal truth to them and help them know how they can become more like Jesus Christ. After teaching the Nephites, the Savior told them, “Ponder upon the things which I have said” (3 Nephi 17:3). One way to help students participate spiritually in the lesson and to encourage them to apply and deepen their understanding of what they are learning is to give them time in class to meditate about what they have learned. At such times, teachers should encourage students to ask for help from the Lord. Ask questions. Learning to ask questions and seek for answers as they study the scriptures is one of the most important scripture-study skills students can develop. By asking questions, students can be led to a better understanding of the context and content of the scriptures, as well as to the discovery and understanding of important doctrines and principles of the gospel. Students can learn to ask questions that will lead them to feel the truth and importance of what they are studying and to know how to apply what they are learning. Define difficult words and phrases. Dictionaries, student manuals, footnotes, and scripture study helps can often help students understand difficult words or phrases. Visualize. Visualizing occurs as students picture in their minds what is taking place in the scriptural account. For example, students could imagine Peter walking on the water toward the Savior (see Matthew 14:28–29), or Shadrach, Meshach, and Abed-nego being cast into the fiery furnace (see Daniel 3:19–25). Visualizing can help make a scriptural account more vivid and real for the students. Liken scriptures. To liken the scriptures is to compare them to one’s own life. 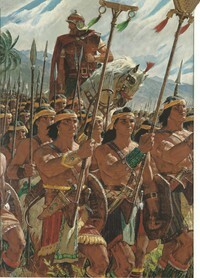 Students can ask, “What circumstances and situations in my life are like the circumstances and situations in this passage of scripture?” or “How am I like the characters we are studying in the scriptures?” As students see the similarities between their experiences and those in the scriptures, they are better able to identify doctrines and principles of the gospel. They can also see how these principles can be applied in similar situations in their own lives. Cross-reference. A cross-reference is an additional scripture reference that can provide added information and insight on the passage being studied. Cross-referencing or “linking” is connecting scripture references that help students understand a scripture passage or a doctrine or principle. Helpful cross-references can be found in the footnotes and other study aids, teacher and student manuals, and general conference talks. Teachers and students can also discover relevant cross-references in their own study. Compare and contrast. A passage of scripture or a doctrine or principle is often clarified when it is compared or contrasted with something else. Noting the similarities or differences between teachings, people, or events can bring gospel truths into sharper focus. For example, contrasting the reign of King Benjamin with that of King Noah allows students to see very clearly the blessing of a righteous leader versus the destructive results of a wicked one. Comparing the lives, teachings, and testimonies of Jacob and Alma with the philosophies and lives of Sherem and Korihor can help students more easily recognize false philosophies in the world today and see how to combat them. Comparing and contrasting the various journeys to lands of promise made by the children of Israel, Lehi and his family, and the Jaredites can teach principles that help teachers and students in their own journeys through life. Make lists. A list is a series of related thoughts, ideas, or instructions. Looking for lists in the scriptures can help teachers and students identify key points the writer is emphasizing. For example, the Ten Commandments are a list (see Exodus 20). The Beatitudes can be seen as a list (see Matthew 5:3–12; 3 Nephi 12:3–11 ). Doctrine and Covenants 4 contains a list of the qualifications of those who are called to serve the Lord. Look for connections, patterns, and themes. Students can be encouraged to look for connections, patterns, and themes as they study the scriptures. Elder David A. Bednar said, “Searching in the revelations for connections, patterns, and themes builds upon and adds to our spiritual knowledge … ; it broadens our perspective and understanding of the plan of salvation” (“A Reservoir of Living Water” [CES fireside for young adults, Feb. 4, 2007], 2). Teachers and students will generally use many of these skills and methods in class during the year. As they do so, teachers may occasionally pause and briefly discuss with their students the method or skill being used and encourage them to use it in their personal study. All of the standard works—the Old and New Testaments, the Book of Mormon, the Doctrine and Covenants, and the Pearl of Great Price—are inspired writings that contain doctrines and principles of the gospel. They illustrate the workings of God with man and teach about the Atonement of Jesus Christ. They are important individually, and collectively they give a greater understanding of the gospel and the plan of salvation prepared by our Father in Heaven. Students and teachers should read and study the entire book of scripture that corresponds with each course of study (with the exception of selected portions of the Old Testament, as noted in the curriculum). Understanding the context and content of the scriptures and the words of the prophets prepares teachers and students to recognize the messages of the inspired authors. The context and content clarifies and illustrates gospel doctrines and principles recorded in the experiences and teachings of others. Although much of what follows addresses understanding the context and content of the scriptures specifically, most of the same principles and ideas can be applied to a study of the words and messages of latter-day prophets. Context is (1) the passages of scripture that precede or follow a verse or series of verses or (2) the circumstances that surround or give background to a particular scriptural passage, event, or story. The context is a means to understand the content of the scriptures. It provides background information that clarifies and brings a depth of understanding to the stories, teachings, doctrines, and principles in the scriptural text. Each scripture writer wrote as he was directed by the Holy Ghost, yet the writings were clothed in the imagery and culture of the writer. To understand their writings, teachers and students should mentally “step into their world” as much as possible to see things as the writer saw them. Following are some examples of different types of context. Historical setting. 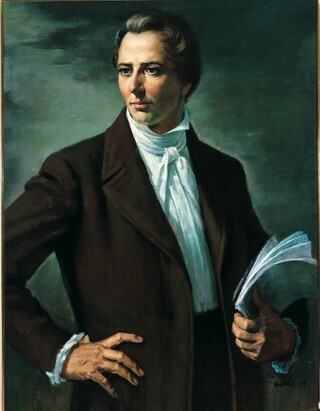 Recognizing that Joseph Smith was in Liberty Jail during the receiving and writing of sections 121, 122, and 123 of the Doctrine and Covenants gives added depth and power to the doctrines and principles taught in those sections concerning such things as adversity and the use of power and authority. Cultural setting. Knowing the background of the feast days and holidays of ancient Israel can clarify how they relate symbolically to the Savior and His mission. Being aware of the origin of the Samaritans and how the Jews felt about them at the time of Christ illuminates the parable of the Good Samaritan and deepens the meaning of the Savior’s encounter with the woman at the well in Samaria. The question or situation that prompted the parable, event, doctrine, or principle. Understanding that Doctrine and Covenants 9 came as a response to Oliver Cowdery’s inability to translate clarifies the principles concerning revelation taught in that section. Who is speaking to whom and why. Alma’s teachings on the Atonement, Resurrection, Judgment, mercy, and justice take on a deeper meaning when we realize that the context of those teachings was a visit with his son Corianton, who was concerned about the consequences of serious sins he had committed. Geographic setting. Knowing the geography of Canaan deepens our understanding of where Lot and Abraham settled, how it influenced choices they made, and how these choices affected their families. The scriptures, the study aids provided in the scriptures, and the curriculum generally contain sufficient contextual information to assist teachers and students in understanding the scriptural content. The content is the story line, people, events, sermons, and inspired explanations that make up the scriptural text. The content of the scriptures gives life and relevance to the doctrines and principles that are found in the scripture block. For example, the story of Nephi obtaining the brass plates teaches the principle that faith in the Lord and listening to the Spirit can help individuals overcome what appear to be insurmountable challenges. Understanding the events of the Exodus makes clear that trusting in the Lord and following a prophet can lead people and nations to receive the Lord’s promised blessings but that blessings are withheld when the people murmur and are disobedient. “More important, all of them, without exception, will lift your vision to the perfect friend—our Savior and Redeemer, Jesus the Christ” (“True Friends That Lift,” Ensign, Nov. 1988, 77). The sermons that have so carefully been preserved in the holy scriptures are another very important part of the content. For a student who is struggling with sin, the sermons of Paul or Alma the Younger can be sources of hope and encouragement. King Benjamin’s final address to his people masterfully teaches the power and significance of the Savior and His Atonement and clarifies the meaning of service, the blessings of obedience, and the importance of reaching out to those in need. A student who is striving to be a disciple of Jesus Christ can gain insight by studying and seeking to apply the words of the Savior in the Sermon on the Mount. Part of understanding the content is learning the meaning of difficult words and phrases, as well as the interpretation of parables, symbols, and so on. For example, knowing the meaning of words like savor (Matthew 5:13) or cleave (D&C 11:19; 45:48) and phrases such as “gird up your loins” (D&C 75:22), and “purse and scrip” (see Luke 10:4) help clarify the text of the scriptures. Principles taught in the parables of the Savior become more easily understood when the symbolic meaning of such things as the pearl of great price (see Matthew 13:45–46), the wheat and the tares (see Matthew 13:24–30), and the lost sheep (see Luke 15:4–7) is identified. With all the information that could be learned and taught, teachers should use wisdom in determining how much actual time is devoted to context and content and how much time to spend studying the doctrines and principles of the gospel. Teachers should provide sufficient context and content to help students understand the eternal truths found in the scriptural text, but not overemphasize such background and details to the degree that they become the core of the lesson. Identifying and understanding gospel doctrines and principles helps teachers and students apply the scriptures and words of the prophets to their own lives and guides them in making decisions. Feeling the truthfulness, importance, and urgency of gospel doctrines and principles often leads to an increased desire to apply what is learned. Applying gospel principles brings promised blessings, deepens understanding and conversion, and helps teachers and students become more like the Savior. A doctrine is a fundamental, unchanging truth of the gospel of Jesus Christ. Such truths as Heavenly Father has a body of flesh and bones, baptism is necessary to enter the kingdom of God, and all men will be resurrected are examples of doctrines. A principle is an enduring truth or rule individuals can adopt to guide them in making decisions. Gospel principles are universal and help people apply the doctrines of the gospel to everyday living. 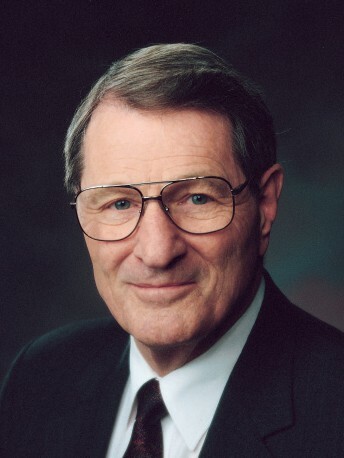 Elder Richard G. Scott taught, “Principles are concentrated truth, packaged for application” (“Acquiring Spiritual Knowledge,” Ensign, Nov. 1993, 86). This means that a gospel principle usually suggests action as well as the consequences that follow. For example: praying always can help us overcome temptation (see D&C 10:5), and if we follow the promptings of the Holy Ghost, He will help us accomplish what the Lord has commanded (see 1 Nephi 4). At times the distinction between a doctrine and a principle can be difficult to discern. Elder Henry B. Eyring shared the following: “I wouldn’t spend a lot of time, by the way, trying to distinguish between a principle and a doctrine. 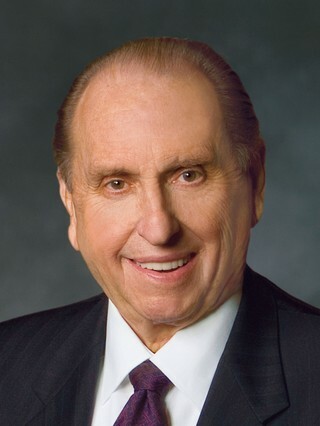 I’ve heard conversations of that kind that weren’t very fruitful” (“Training Guidelines and Resources: Elder Richard G. Scott and Elder Henry B. Eyring Discussion,” [Aug. 2003 CES satellite training broadcast], 10). One of the central purposes of scripture is to teach doctrines and principles of the gospel. President Marion G. Romney explained: “One cannot honestly study the scriptures without learning gospel principles because the scriptures have been written to preserve principles for our benefit” (“The Message of the Old Testament” [CES symposium on the Old Testament, Aug. 17, 1979], 3). Elder Boyd K. Packer taught: “[Principles] are found in the scriptures. They are the substance of and the purpose for the revelations” (“Principles,” Ensign, Mar. 1985, 8). 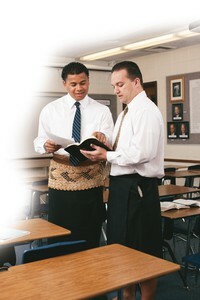 In this dispensation, the Lord has commanded teachers and leaders in His Church to teach principles of the gospel as found in the scriptures: “And again, the elders, priests and teachers of this church shall teach the principles of my gospel, which are in the Bible and the Book of Mormon, in the which is the fulness of the gospel” (D&C 42:12). Learning how to identify gospel doctrines and principles found in the scriptures takes thoughtful effort and practice. Speaking of this effort, Elder Richard G. Scott said: “Search for principles. Carefully separate them from the detail used to explain them” (“Acquiring Spiritual Knowledge,” 86). Sometimes in class, doctrines and principles will be pointed out by the teacher. Other times the teacher will guide, encourage, and allow students to discover them for themselves. Teachers should diligently help students acquire the ability to identify doctrines and principles on their own. Some gospel doctrines and principles are easier to identify because they are stated overtly. Such stated principles are often prefaced by phrases such as “thus we see,” “therefore,” “wherefore,” or “behold,” indicating that the scriptural author may be summarizing his message or drawing a conclusion. Many principles are not stated directly by the scriptural writer but are instead implied. Implied principles may come from an entire book of scripture, a chapter, or a single verse and may be couched in the scriptural story line, events, or parables. Identifying implied principles includes recognizing the truths being illustrated in a scriptural account and stating them clearly and succinctly. This often requires time and careful thought. 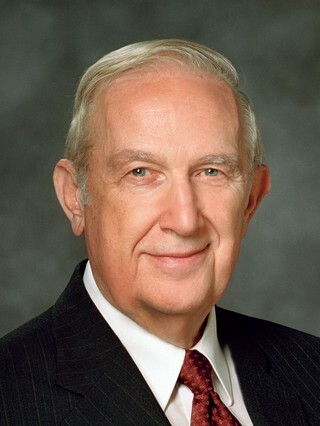 Elder Richard G. Scott taught, “It is worth great effort to organize the truth we gather to simple statements of principle” (“Acquiring Spiritual Knowledge,” 86). Implied principles can often be discovered by looking for cause-and-effect relationships within the scripture block. By analyzing the actions, attitudes, and behaviors of individuals or groups in the scriptural account, and identifying the blessings or consequences that came as a result, gospel principles become more apparent. What is the moral or point of the story? Why do you think the writer included these events or passages? What did the author intend for us to learn? What are some of the fundamental truths taught in this passage? From the events in the lives of Alma the Younger or Paul: A person who accepts the truth and repents of his sins can lead others to the blessings of the gospel (see Alma 36:10–21; Acts 9:4–20). From the parable of the ten virgins: If we have faithfully prepared ourselves spiritually, we will be ready when the Lord comes; or those who neglect their spiritual preparation will not be received by the Lord at His coming (see Matthew 25:1–13). 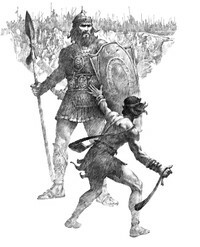 From the story of David and Goliath: As we act with courage and faith in God, we can overcome great challenges in our lives (see 1 Samuel 17:40–51). Invite students to write the concept they are learning in an “if-then” relationship statement. Assign students to write “and thus we see” statements to summarize the truths they have learned. Have students identify actions that were taken by individuals in the scripture block and search for the blessings or consequences that resulted. Encourage students to underline in their scriptures key words or phrases that identify principles and doctrinal statements. Write a doctrine or principle from the scripture block on the board. Ask students to search the block, looking for evidence of that principle. As principles and doctrines are identified, it is important that they are clearly and simply stated. “‘To be known, the truth must be stated and the clearer and more complete the statement is, the better the opportunity will the Holy Spirit have for testifying to the souls of men that the work is true’ [New Witnesses for God, 3 vols. (1909), 2:vii]” (B. H. Roberts, in James E. Faust, “What I Want My Son to Know before He Leaves on His Mission,” Ensign, May 1996, 41; Preach My Gospel , 182). Writing an identified principle or doctrine on the board, or inviting students to write or underline it in their scriptures, is one way to help make these truths clear in the minds of class members. To understand a gospel doctrine or principle means that students comprehend the identified truths, their relationship with other principles and doctrines in the Lord’s plan, and in what circumstances the principle might be applied in their lives. When a teacher or a student understands a doctrine or principle, they not only know what the words mean but also how the doctrine or principle can affect their lives. Once a doctrine or principle is identified and understood, it can be more readily applied. Teachers and students can increase their understanding of gospel doctrines and principles by searching the scriptures for related teachings and additional insights, by turning to the words and teachings of latter-day prophets and apostles, by explaining to others gospel truths they are learning, and by praying for the help of the Holy Ghost. Understanding continues to deepen as principles are applied. What is it that the stripling warriors did not doubt? What evidence is there that these young warriors did not doubt? How did God deliver the stripling warriors? What are some “battles” the youth of the Church are fighting today? What are some ways God might deliver them from such battles? What does the experience of Abinadi, Joseph Smith, or Shadrach, Meshach, and Abed-nego teach us about what it means to be delivered? How does humility help us follow the counsel of the prophet? How does Naaman’s eventual willingness to “wash seven times” help us understand what it means to truly follow the counsel of the prophet? What things besides physical illness may we need to be healed of today? What are some things the prophets have asked us to do that will heal us spiritually but may not make sense to the world? Although students may identify and understand principles and doctrines of the gospel, they will often not apply them until they feel their truth and importance through the Spirit and sense some degree of urgency to incorporate the principle in their own lives. Elder Robert D Hales explained, “A true teacher, once he has taught the facts [of the gospel] … , takes [the students] a step further to gain the spiritual witness and the understanding in their hearts that brings about the action and the doing” (“Teaching by Faith” [an evening with Elder Robert D. Hales, Feb. 1, 2002], 5). The Holy Ghost can impress upon the minds and hearts of the students the significance of a doctrine or principle and can give the students a desire to implement the principle and the strength to do so. Teachers should make every effort to facilitate this experience for each student in their classes. Elder Richard G. Scott encouraged teachers, “Will you pray for guidance in how to have truth sink deep into the minds and hearts of your students so as to be used throughout life? 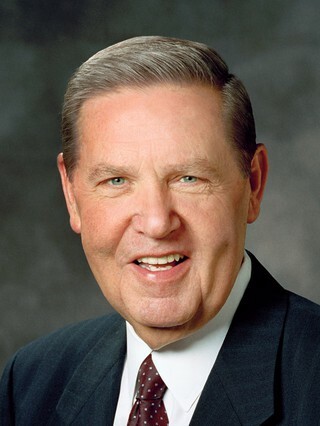 As you prayerfully seek ways to do that, I know that the Lord will guide you” (“To Understand and Live Truth,” [an evening with Elder Richard G. Scott, Feb. 4, 2005], 2). One of the most effective ways to help students invite the influence of the Spirit into their hearts and prepare them to act on the principle they have learned is to encourage them to reflect on personal experiences related to that principle (see section 5.1.3, “Questions That Invite Feelings and Testimony” on page 61). This helps students recognize the impact the principle has had in their lives or in the lives of others. For example, after a discussion on the law of tithing, teachers might ask, “What blessings have you seen in your life or in the lives of others from keeping the law of tithing?” As students reflect on questions like this and share appropriate personal experiences with their class, the Holy Ghost can help them see more clearly the blessings that they and others have received by living gospel doctrines and principles. The Spirit will also help students feel a greater desire to apply these truths in their lives. Teachers can also share true stories from their own lives or the lives of others to help students feel the truth and importance of living the principle being discussed. Teachers can provide opportunities for students to bear witness of the truthfulness of principles and doctrines. Teachers should also look for opportunities to bear their own testimony. In addition, teachers can help students feel the truth and importance of doctrines and principles by highlighting testimonies expressed by individuals in the scriptures and by reading or listening to the testimonies of latter-day prophets and apostles. Application takes place when students think, speak, and live according to the principles they have learned. Elder Richard G. Scott explained the importance of application when he said, “The best measure of the effectiveness of what occurs in the classroom is to observe that the truths are being understood and applied in a student’s life” (“To Understand and Live Truth,” 3). As students apply the principles of the gospel in their lives, they will receive the promised blessings. They will also gain a deeper understanding and testimony of the doctrine or principle they have applied. For example, students who keep the Sabbath day holy will have a more complete understanding of what that means than students who do not. Students who have trusted in the Lord with all their heart (see Proverbs 3:5) and have been strengthened and comforted in a time of adversity or trial have a clearer understanding of that principle than those who have not. Teachers should give students time in class to meditate on, ponder, or write about what they have understood and felt, and to consider what specific actions they should take to apply it in their lives. At such times, teachers should encourage students to ask for guidance and direction from the Lord. Teachers can also discuss situations students might experience and have them share ideas about how applying gospel principles in those situations would bless their lives. They can suggest that students set a goal that can help them live the principle being taught. Teachers could prepare a scripture, quotation, poem, or part of a hymn as a handout that students can take home as a reminder of the principle. There may be times when the teacher or students in the class offer suggestions as to how gospel principles could be applied. Such examples can give students helpful ideas of ways to apply principles of the gospel in their everyday lives. However, teachers should be careful not to be too prescriptive in assigning specific applications for students. Remember that the most meaningful direction for personal application comes individually through inspiration or revelation from the Lord through the Holy Ghost. Elder Dallin H. Oaks taught, “Teachers who are commanded to teach ‘the principles of [the] gospel’ and ‘the doctrine of the kingdom’ (D&C 88:77) should generally forgo teaching specific rules or applications. … Once a teacher has taught the doctrine and the associated principles from the scriptures and the living prophets, such specific applications or rules are generally the responsibility of individuals and families” (“Gospel Teaching,” 79). Explaining doctrines and principles, sharing insights and relevant experiences, and testifying of divine truth clarifies a person’s understanding of gospel doctrines and principles and improves their ability to teach the gospel to others. As students explain, share, and testify, they are often led by the Holy Ghost to a deeper testimony of the very things they are expressing. Through the power of the Holy Ghost, their words and expressions can also have a significant impact on the hearts and minds of their peers or others who are listening. Teachers who thoughtfully and prayerfully study, prepare, and teach a lesson tend to learn a great deal. This same principle holds true for students. As they study and teach each other the doctrines and principles of the restored gospel, they will obtain greater understanding and strengthen their testimonies. Understanding of scripture is increased when students and teachers explain the scriptures to each other. Preparing to clearly and simply tell what a passage of scripture or what a doctrine or principle means encourages teachers and students to ponder the verses, organize their thoughts, and invite the Holy Ghost to teach them. President Spencer W. Kimball taught: “We learn to do by doing. If we study the gospel to teach it we have acquired knowledge, for where we carry the lantern to light the path of others we light our own way. As we analyze and arrange the scriptures to present an acceptable lesson to others, we have clarified our own minds. As we explain that which we already know there seems to come to us an unfolding of additional truths, and enlargement of our understandings, new connections and applications” (The Teachings of Spencer W. Kimball , 530). Giving students the opportunity to explain a doctrine or principle to someone else encourages them to think more deeply and seek greater understanding before teaching others what they have learned. Teachers can ask students to explain why it is important to have faith, be baptized, or obey the law of tithing. Students could be invited to tell someone else about the Creation, the Fall, or why they believe families are central to Heavenly Father’s plan. This can take place in pairs or small groups, in role-plays, with the entire class, or in writing. An occasional invitation for students to explain a passage of scripture or teach a doctrine or principle to a parent, a brother or sister, a friend, or a roommate may also be appropriate. Both teachers and students should have the opportunity to share their insights and understanding as well as personal experiences they have had with a doctrine or principle. They can also relate experiences they have witnessed in the lives of others. When students have explained gospel principles and shared their experiences in applying them in their lives, they are often better prepared to testify of what they have come to believe. “It is one thing to receive a witness from what you have read or what another has said; and that is a necessary beginning. It is quite another to have the Spirit confirm to you in your bosom that what you have testified is true” (“The Candle of the Lord,” 54–55). The sharing of testimony not only blesses the person who bears testimony but can also strengthen the faith and testimonies of others. Testifying gives opportunity for the Holy Ghost to bear witness of specific doctrines and principles of the restored gospel. A testimony does not always begin with the phrase “I’d like to bear my testimony.” It can simply be a statement of what a person knows to be true, spoken with sincerity and conviction. It can be a simple affirmation of how a person feels about a doctrine or principle of the gospel and the difference it has made in his or her life. Students can understand more clearly how gospel principles can be applied and feel more inspired to apply them in their lives when they hear the teacher and other students bear testimony of the value of those principles. Teachers can encourage students to testify of gospel truths by asking questions that invite them to share their experiences and beliefs (see section 5.1.3, “Questions That Invite Feelings and Testimony” on page 61). They can also provide other opportunities for students to testify to their peers. Teachers should be sensitive to the personal and sacred nature of testimony and can invite but should never require students to share their testimonies. Teachers should take the opportunity to testify often of their own love for Heavenly Father and His Son, Jesus Christ, and of the truth and value of gospel doctrines and principles. Teachers should be aware of, and refer to, testimonies expressed by the Savior as well as those borne by latter-day prophets and apostles. “… We would hope none of your students would leave your classroom fearful or embarrassed or ashamed that they cannot find the help they need because they do not know the scriptures well enough to locate the proper passages” (“Eternal Investments,” 2). To help students treasure up eternal truths and to increase their confidence in the scriptures, S&I has selected a number of scripture mastery passages and prepared a list of Basic Doctrines. The study of the scripture mastery passages and these doctrines should be developed together so that students will learn to express these doctrines in their own words and use the scripture mastery passages to help them explain and testify of these truths. Seminaries and Institutes of Religion has selected 25 scripture mastery passages for each of the four seminary courses. These passages provide an important scriptural foundation for understanding and sharing the gospel and for strengthening faith. Seminary students are encouraged to develop a “mastery” of these passages as described below. Institute students should be encouraged to build upon the foundation of these 100 scripture mastery passages and develop a depth of understanding of other key passages of scripture. Locating the verses by knowing the associated scriptural references. Understanding the context and content of the scripture passages. Applying the gospel principles and doctrines taught in the scripture passages. Memorization can be a wonderful tool to help students know and love selected passages of scripture. 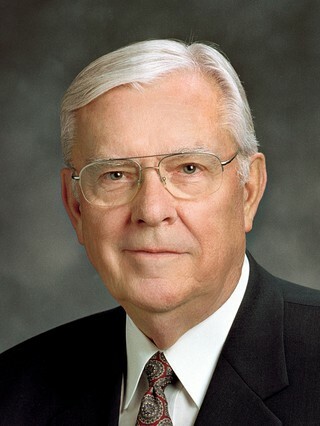 As Elder Richard G. Scott explained, “When scriptures are used as the Lord has caused them to be recorded, they have intrinsic power that is not communicated when paraphrased” (“He Lives,” Ensign, Nov. 1999, 88). Care should be taken, however, to tailor expectations to each student’s capabilities and circumstances. Students should not be made to feel embarrassed or overwhelmed if they are unable to memorize. Teachers will be better able to help their students if they master these passages themselves. When teachers refer to scripture mastery passages with consistency, maintain appropriate expectations, and use methods that appeal to different learning styles, they will be more successful in helping students to master these key passages. During lessons, scripture mastery passages should be used to clarify related doctrines and principles. They may be used as the theme for devotionals or displayed somewhere in the classroom. Students should also be encouraged to study and apply them outside of class. In locations where multiple teachers serve together on a faculty, student learning will be enhanced when faculty members take a unified approach to scripture mastery. Periodically teachers may choose to review scripture mastery references from previous years so that students can maintain mastery of all of the selected passages. While scripture mastery is an important part of the curriculum, it should supplement, not overshadow, daily sequential study of the scriptures. Teachers should be wise in the time they allot to scripture mastery. Home-study teachers must be particularly careful that the weekly class does not become a weekly scripture mastery activity. Teachers should choose methods, activities, and music that are in keeping with the dignity, purpose, and spirit of the scriptures and that avoid contention. The Basic Doctrines have been identified to be highlighted in both seminary and institute classes. Teachers are to help students identify, understand, believe, explain, and apply these basic doctrines of the gospel. Doing so will help students strengthen their testimonies and increase their appreciation for the restored gospel of Jesus Christ. A study of these doctrines will also help them be better prepared to teach these important truths to others. It is important to remember that other significant doctrines of the gospel will also be taught, even though they are not listed in the Basic Doctrines. As teachers personally study and understand these doctrines, they will more naturally refer to and bear testimony of them as they teach. However, they should not divert from teaching the scriptures sequentially to focus solely on these doctrines. Rather, teachers should give careful and consistent attention to these doctrines as they appear naturally in the scriptural text and the courses of study. In this way, the list of Basic Doctrines serves as a reminder to focus on those eternal truths that will be of most worth to the students and to emphasize them throughout the course of study. These Basic Doctrines may also be used as themes for devotionals. A wise teacher will also remember that patience and consistency are important in helping students understand these doctrines. It is not expected that a student will come to completely understand everything at once. The Lord teaches His children “line upon line, precept upon precept” (D&C 98:12). Teachers and students should see the understanding of these doctrines as a process occurring over the four years of seminary and continuing during the years in institute.